Welcome to the car blog of Ira Riklis. Ira loves cars! Old classics, new cars anything on four wheels, you name it and he’s interested. This blog was created based on his love for cars and want to share any and all information about cars that comes his way. Ira Riklis is the President of Sutherland Capital Mgmt. Inc. and CEO of Lydia Security Monitoring Inc. dba C.O.P.S. Monitoring. Aside from owning a successful ski shop chain, Ira Riklis is also an investor of different companies. He is a very educated man with degrees from the Wharton School of Business. He is involved in many charitable activities to help unfortunate people and give them opportunities to excel. Find out more about Ira’s passion for charitable activities here. Mr. Riklis was born in the United States to Meshulam Riklis and Judith Stern. Ira attended the Wharton School of business for an undergraduate degree in Economics and Entrepreneurship from 1973 to 1976. He continued on to complete a post-graduate program at the Wharton School of Business in 1977 where he received an MBA in Mergers and Acquisitions. Ira Riklis is an avid philanthropist and is a man who is not shy about giving. Riklis selflessly donates to charities around New York City. His donations are often made in such a way that, with the funds, the non-profit can help themselves succeed. 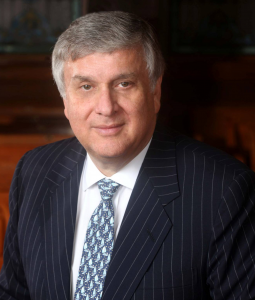 With a sturdy plan and budget like his, Ira Riklis aims to help charities from their launch to the time when other benefactors will lend a helping hand. He has done this with The Metropolitan Council on Jewish Poverty. The Wall Street Journal recently covered Mr. Riklis in a story about his views on charity and his charitable background. The article was titled: “Ira Riklis Gives Early and Often“. Mr. Riklis also dedicates his time to charities through various boards that he sits on. From 1990 to 2010, Ira sat on the American Committee for the Tel Aviv Foundation. Ira is also a fan of promoting 501(c)3 charities around the United States by featuring them on one of his many hobby blogs! The blog is called the “Charity Blog By Ira Riklis“. Ira is an avid blogger! Mr. Riklis loves to maintain an active presence on the web and tries to share his experiences and interests with others. As part of this interest Ira has developed almost a brand of different hobby blogs. Other than this blog, he shares his passions and interests on his food, humor, yoga and history blogs.